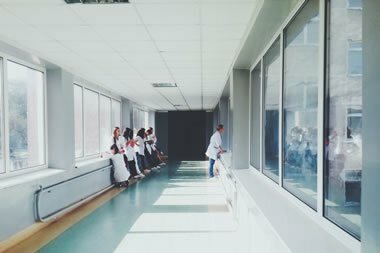 The Department of Health’s HTM 00 may be unknown to some of those working in the healthcare sector, and yet it is an important element to be aware of as it deals with issues associated with building engineering in hospitals and other healthcare premises. HTM is short for Health Technical Memorandum, or Memoranda. These DoH published documents are designed to provide extensive advice and information to staff, advisors and others regarding the technology used to ensure safe healthcare services are provided. HTM 00 focuses on the ‘policies and principles of healthcare engineering’, to give it its formal title, as released by the Department of Health. It gives guidance on the design, installation and operation of a healthcare facility from both an engineering and environmental perspective. The current information pack runs to 73 pages and is the 2014 edition, thereby replacing all earlier editions. This technical document provides a clear framework to encourage engineering and environmental best practice within the healthcare sector. It is therefore easier for those with an interest in healthcare engineering to always provide the best services and standards, by following HTM 00. The DoH approach is divided into core areas. These cover such topics as decontamination, medical gases, water systems, and specialist services, among others. It also points out the need for an ongoing review of the situation in every healthcare setting. This goes from concept through to design, specifications, procurement, and more, finally ending with re-use and disposal, before looping around to concept once again. For those who are exploring this documentation for the first time, it is important to note that HTM 00 also provides insight to the entire series of HTM documents released by the Department of Health. It points out that the series is designed to cover engineering technology and its role within the healthcare sector. Therefore, anyone who works in engineering technology within this sector should begin by reviewing HTM 00, before moving on to other documentation within the series. It’s important to note that health and safety considerations are paramount in these documents. Anyone who is responsible for the development and maintenance of a healthcare facility must recognise their duty of care in looking after those who use it. This applies to staff as well as patients. Clearly, the complexity of the documents boils down to one thing – minimising all risks that may potentially be present in such environments. Reading through HTM 00 helps those in charge to identify the risks and take appropriate steps to prevent or control them. Understanding how this risk management approach works within healthcare engineering and the use of building technology is of significant benefit, as risks can be reduced and perhaps even avoided at the earliest design stages when planning new buildings, refurbishments and new healthcare facilities.